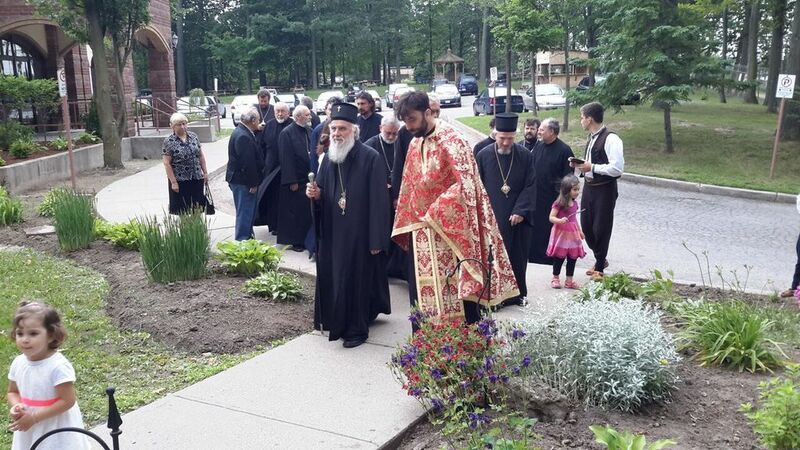 Kitchener, Ontario - On Monday, June 22, 2015 His Holiness Serbian Patriarch and administrator of the Diocese of Canada met with the Toronto clergy and surrounding areas. 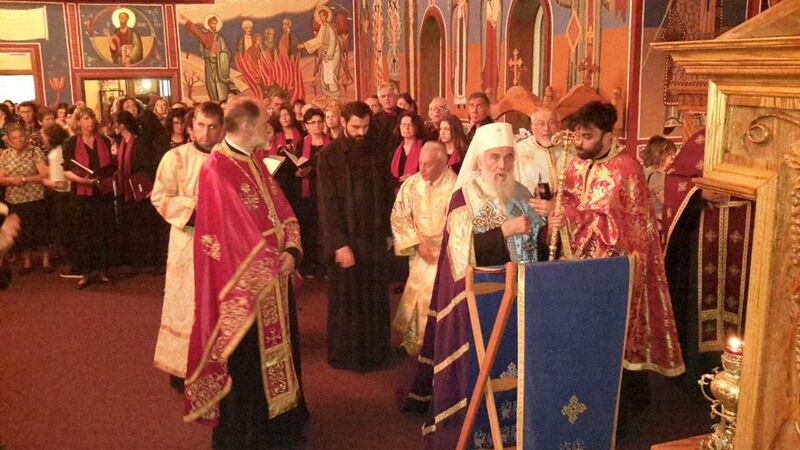 Accompanying the Serbian Patriarch was Bishop Mitrophan of Eastern America, as well as V. Rev. 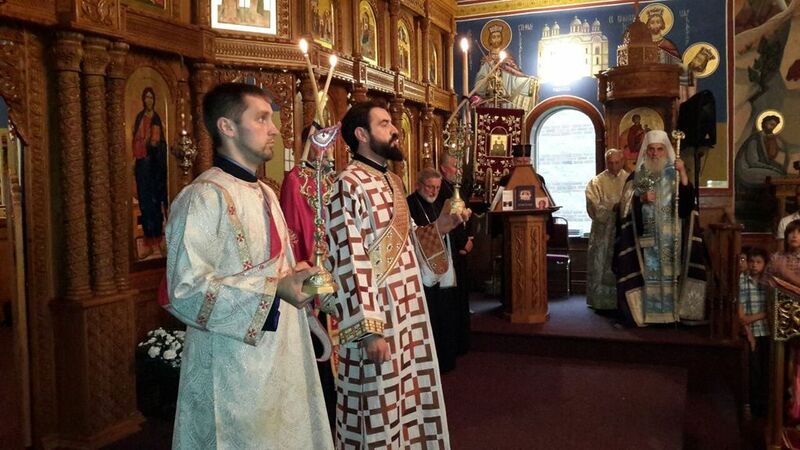 Vasilje Tomic, Episcopal Deputy, and Protodeacon Damjan Bozic. 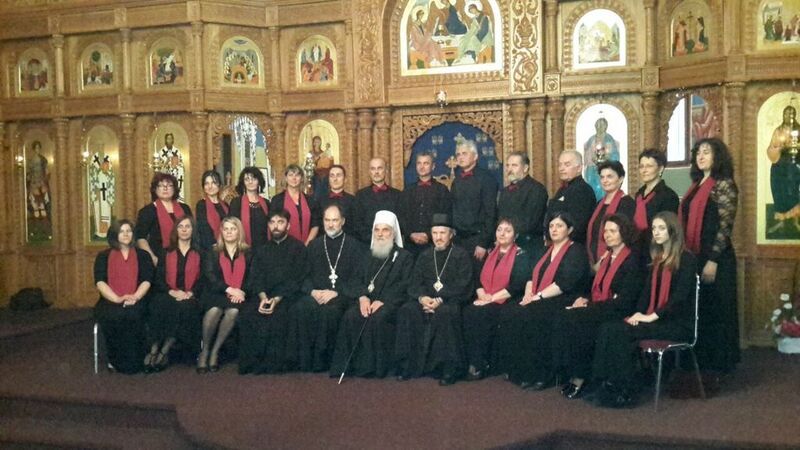 The meeting was held at the Holy Trinity Serbian Church in Kitchener. The meeting was conducted in a spirit of unity and love mutual respect. 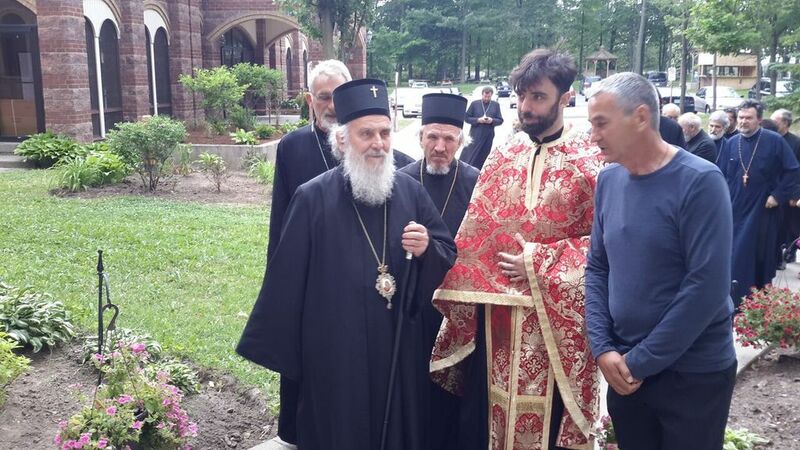 The clergy once again expressed their support to their hierarch and Serbian Patriarch, rating His Holiness' visit as very significant and successful. 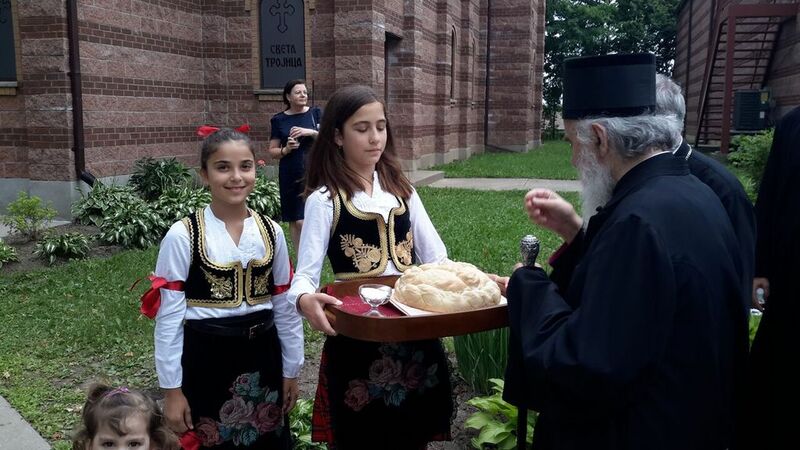 The Holy Trinity church school congregation was founded in 1972 with the blessings of Bishop Sava of Eastern America and Canada. The property was blessed by Bishop Christopher ten years later. The church was built in 1987 and the church hall in 1993. 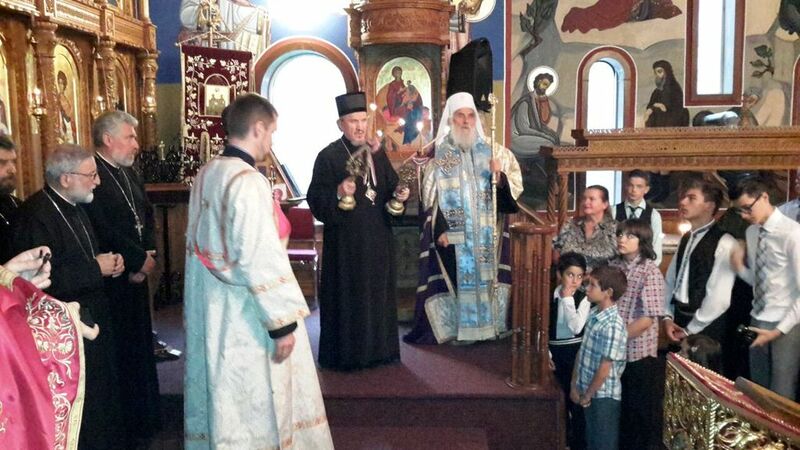 Both were consecrated by Bishop Georgije. 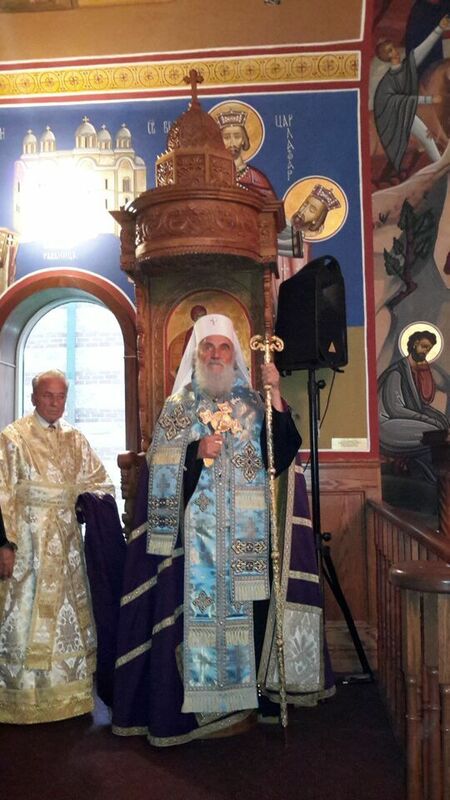 His Holiness Serbian Patriarch Irinej, administrator of the Diocese of Canada, served the Akathist to St. John of Shanghai. 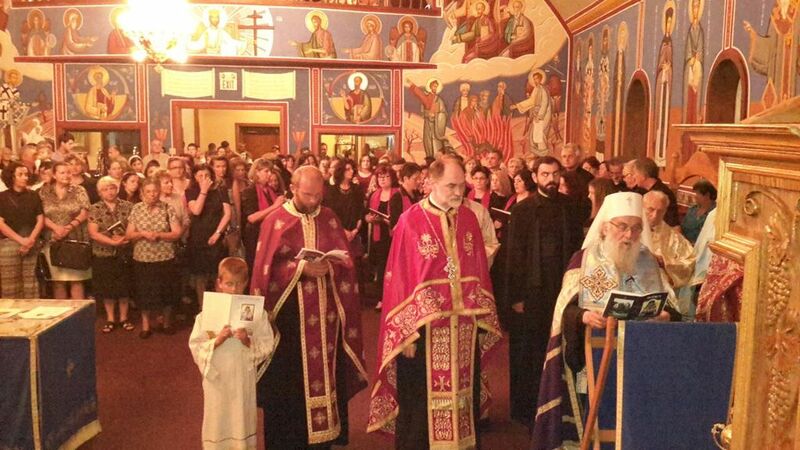 Relics of this Saint have been kept in this church since 2010. 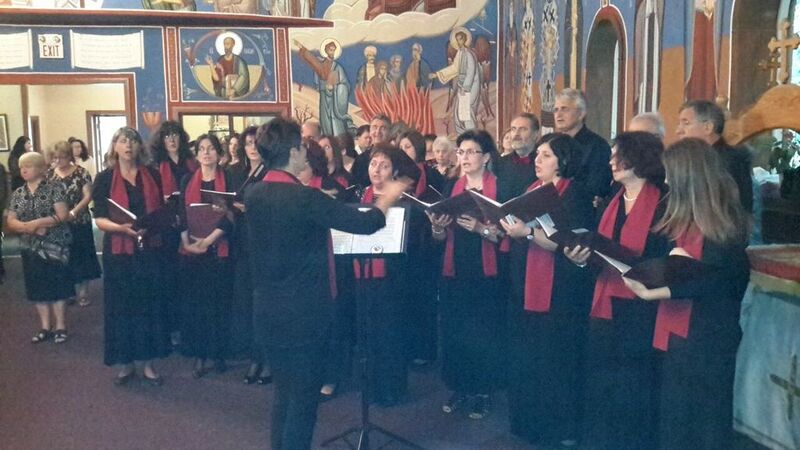 The large church is completely frescoed, completed by Hadzi Zoran Rnjak and blessed by Bishop Georgije in 2009. 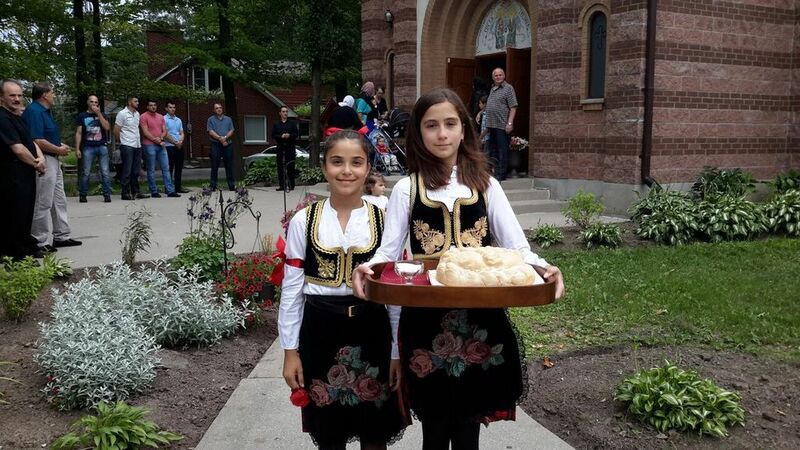 Active in this parish are the Circle of Serbian Sisters "Blaga Marija", the folklore group "Stevan Sindjelic" and the Serbian school "St. Sava" which is joined with St. George Church in Waterloo. 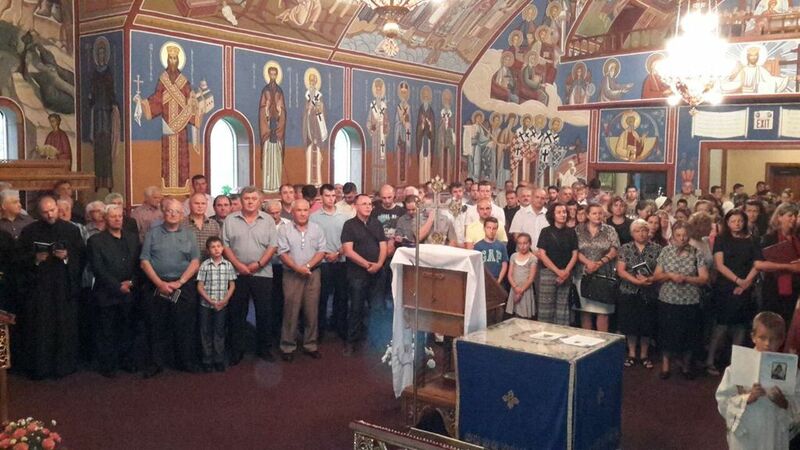 This is the largest school in the Serbian diaspora. 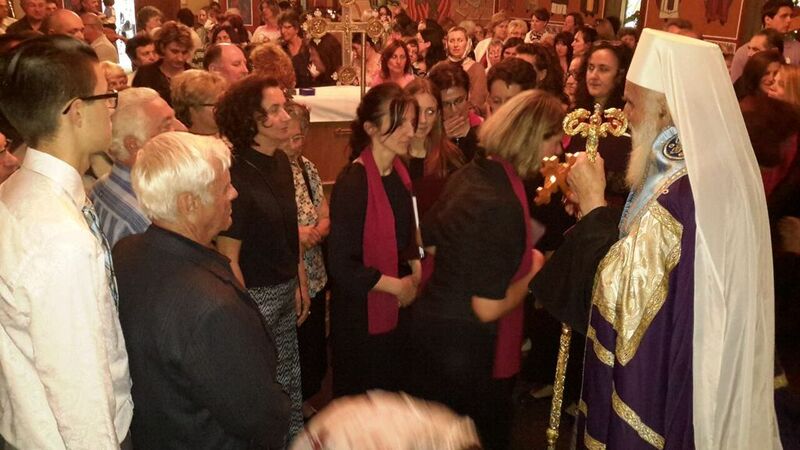 Following the service the Serbian Patriarch blessed many of the faithful who came to greet their Archpastor. 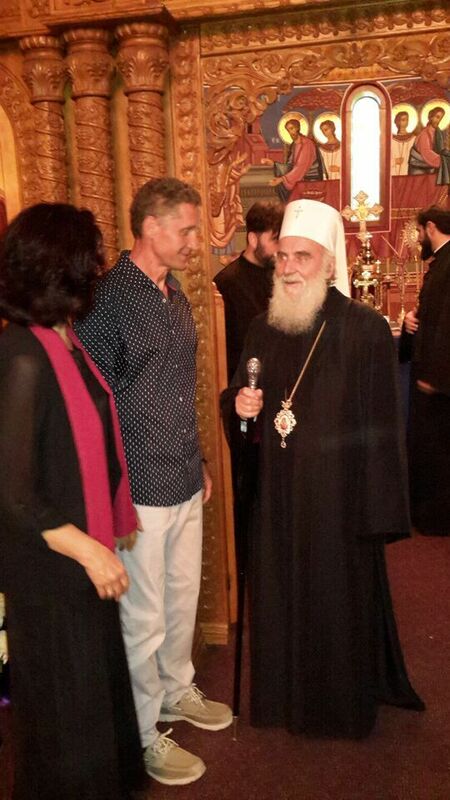 The parish priest greeted the Patriarch to which His Holiness greeted the faithful.